Yesterday the world lost Stan Lee, one of the biggest figures in not only comics, but pop culture history. Stan “The Man” was known for his larger-than-life personality, his catchphrase “Excelsior”, his movie cameos...and for reshaping the entire comic book medium. During the heyday of Marvel Comics, in the Silver Age, Stan co-created many classic characters such as Spider-Man, the Hulk, Thor, Iron Man, the Fantastic Four, and the X-Men. His characters (co-created by legends like Jack Kirby and Steve Ditko) were built from different genres like horror, science fiction, and fantasy. They also had nuanced personalities and endured realistic human struggles. Stan wasn’t afraid to have his stories broach heavy subjects like racism, poverty, and drug use. He pulled off the perfect balance of making comics more serious, while still making the medium more fun. He also changed comic fandom forever by fostering stronger fan relations, personalizing his responses to letter writers and encouraging more direct creator-to-fan interaction than had previously been the norm. He knew that comics were supposed to be fun, and he wanted to make sure we were always enjoying ourselves. Although he’s best known for his work with Marvel, Stan Lee also had a great working relationship with DC Comics, and was a huge fan of DC’s characters. In 1989, for example, he celebrated Batman’s 50th anniversary by writing a poem paying homage to the Caped Crusader in Detective Comics #600. Stan wanted to do more with DC’s characters, and in 2001 he finally got his chance. 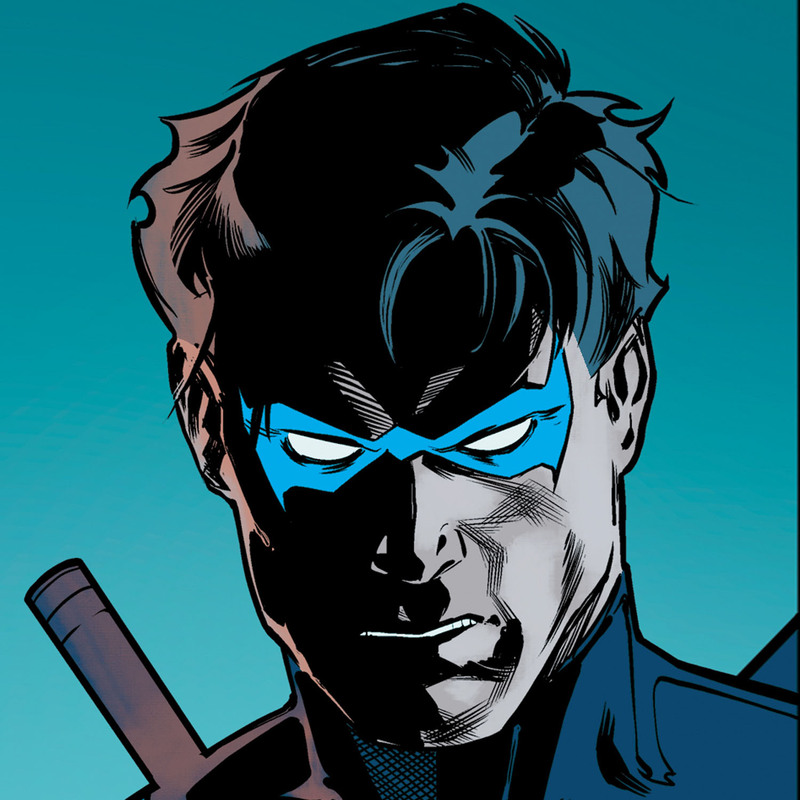 He wrote a 13-issue critically acclaimed series for DC called “Just Imagine”, which featured his own alternate versions of icons like Superman, Batman and Wonder Woman. In 2002, Stan was one of the many comic legends who contributed a piece for DC’s 9-11 tribute comic. In 2004, Stan Lee and the late writer-artist Darwyn Cooke teamed up to work on a Superman story for DC Comics Presents... Stan didn't view DC as a rival. He just wanted to make good comics. In recent years, Stan Lee’s cameos have become a staple of Marvel movies. But this summer, he appeared for the first time in a DC film, parodying his Marvel cameos in the animated Teen Titans Go! To The Movies. The cartoon version of Stan (pictured above) shows up and addresses the audience with glee before an aide informs him he’s in a DC movie. 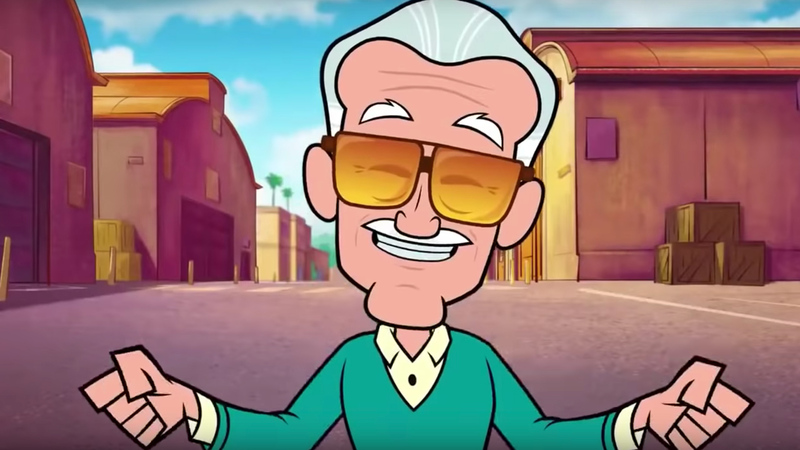 Overcoming his initial shock, Stan later returns in the film's final act to yell, “I don’t care if it’s a DC movie, I love cameos!” Stan wasn’t the only one who loved his cameos. They'll be greatly missed. Without Stan, the world of comics would look vastly different. Though we now live in a world without Stan Lee, “The Man” left behind a legacy of wonder for fans to enjoy forever. Excelsior, Stan. Thanks for playing in the DC universe. Please share your favorite Stan Lee memories with us in our Community.